As soon as I saw those cheap apples, I knew exactly what to do with them. Applesauce. 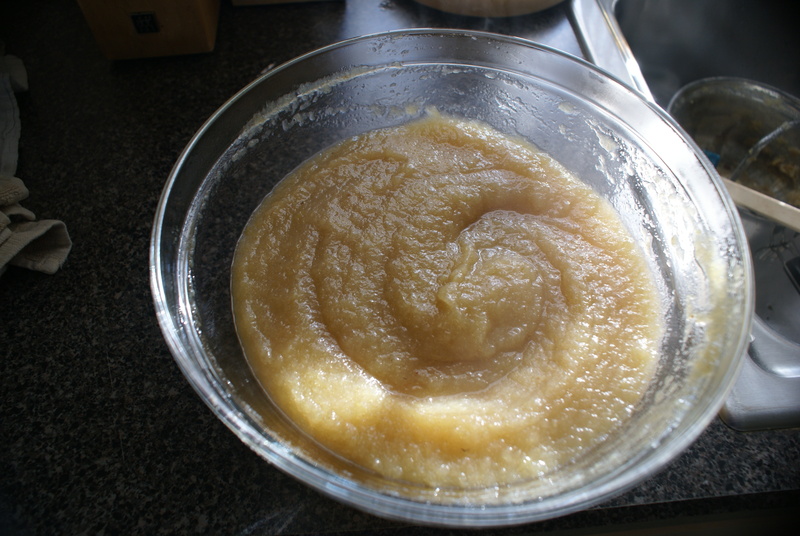 If you’ve never taken the time to make your own applesauce, do it. It’s probably just about the easiest recipe you’ll ever see on here. Two ingredients and one of them is water. (You could add cinnamon or clove at the end if you wanted.) And there’s barely any prep work either. 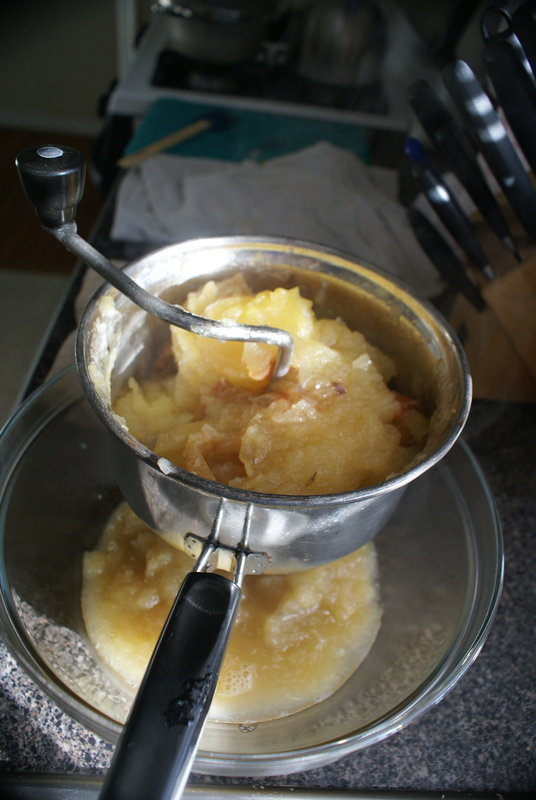 If you’ve got a food mill, just cut the apples in half and throw them in a pot. No need to peel or core them; the food mill will handle this for you later. 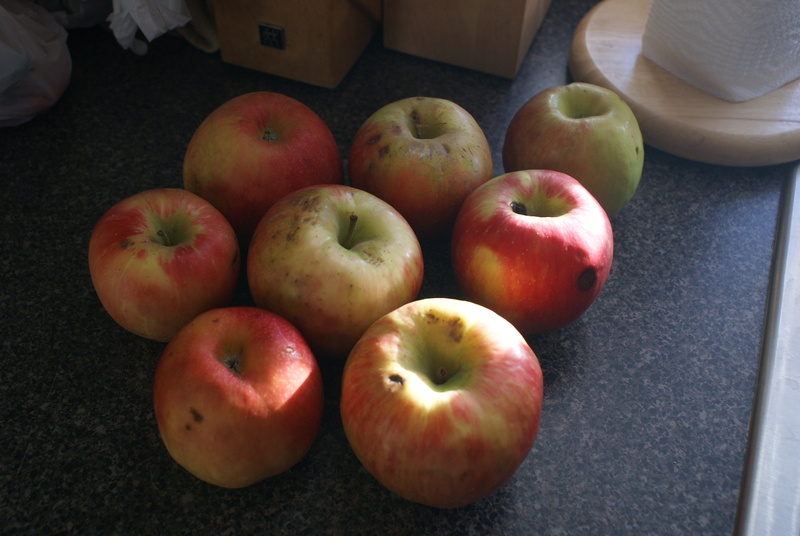 If you don’t have a food mill, you at least need to core the apples, and you’ll probably want to peel them, too, before putting them in the pot. Put the covered pot over medium heat with just a little bit of water, maybe 1/2 cup at most, just to help the simmering process. 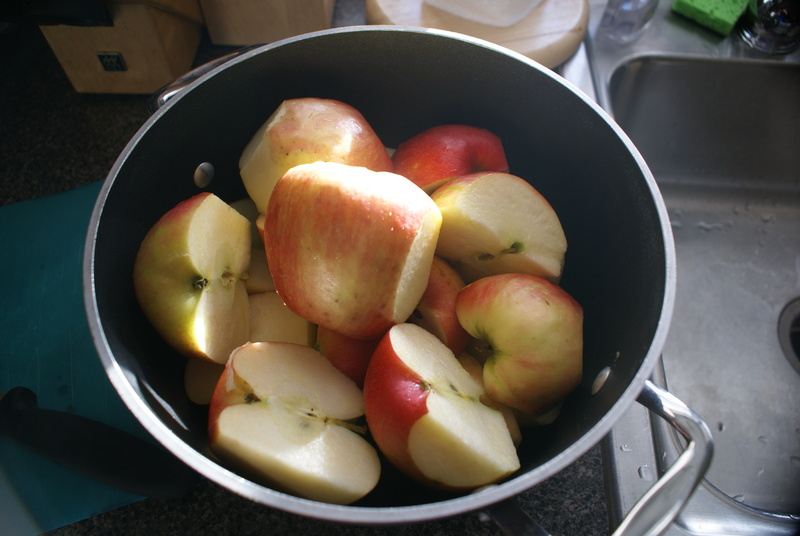 Simmer away for 30-40 minutes until all of the apples are soft. You may need to stir this around a couple of times to make sure they all soften evenly. If it’s a little wet still, you can remove the lid and simmer for a couple of minutes more to let some of the water evaporate. When you’ve got a good looking mush, run it through your food mill, if you’ve got one. And you’re done. The results are going to be superior to just about any jarred version you’re going to buy at the store. They’ve probably at least added sugar, but trust me, you won’t need it. And yours will undoubtedly be fresher. And probably a lot cheaper, too. And a heck of a lot more satisfying.